This magnificent necklace features Multi Faceted Glass Beads with Top Drilled & Metallic Smoked Topaz beads & NEW Golden Glass spacer long Necklace 26 inches this necklace has 22k Gold Plated Lobster Clasp. 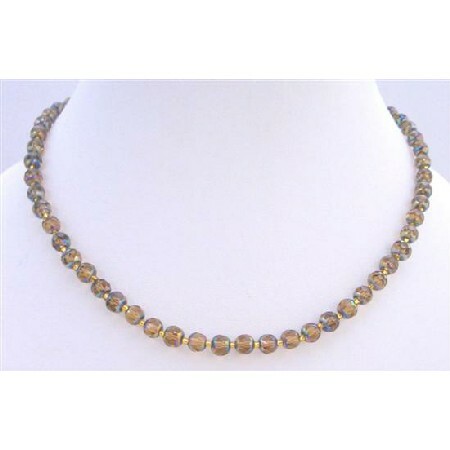 A cluster of iridescent Glass beads Long Necklace dresses & would look pretty with many of dresses. Celebrate your individuality. Variations in the color & pattern of each beads add the beauty to the necklace.